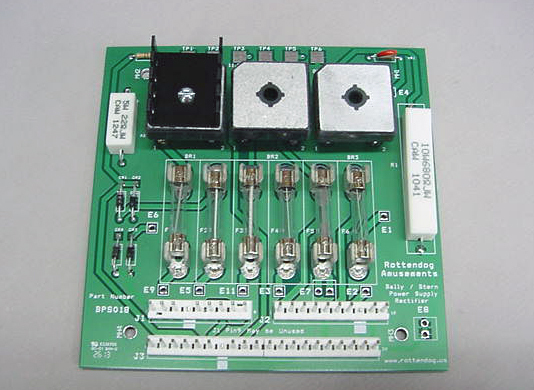 BPS018 - Voltage rectifier board used in most early solid state Bally and Stern pinball machines. See game listing below to see which games this supply supports. 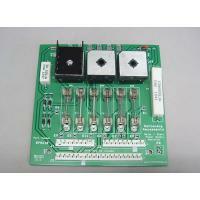 This board is a direct replacement for the original OEM rectifier board. This circuit board is EXTREMELY difficult to replace. The procedure involves desoldering from the old board and then resoldering the wires onto the new board! You need to take extreme care to track which-wire-goes-where. I DO NOT recommend that any but the most advanced repair technician try to use this board!